Make your kitchen superior, with our top of the line assortment of cooking equipment! Whatever your kitchen needs, we’ll help you find it! Looking for a new commercial range to take your business to the next level? Look no further! 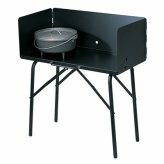 Zanduco carries everything, from crepe makers to cheese melters to wood burning ovens! 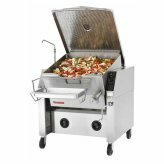 Use the proper cooking equipment for your café, grocery store, commercial kitchen, butcher shop, bakery or food establishment! Using the proper equipment for the right types of food increases productivity, and makes early preparation of food not go to waste! 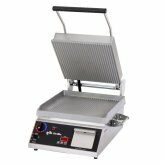 Adding a sandwich grill to your café, bakery or restaurant allows you to change the way you make a plain sandwich better, by still using the same ingredients! 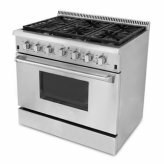 Browse and compare our hard-to-beat prices for innovative cooking equipment and restaurant appliances!